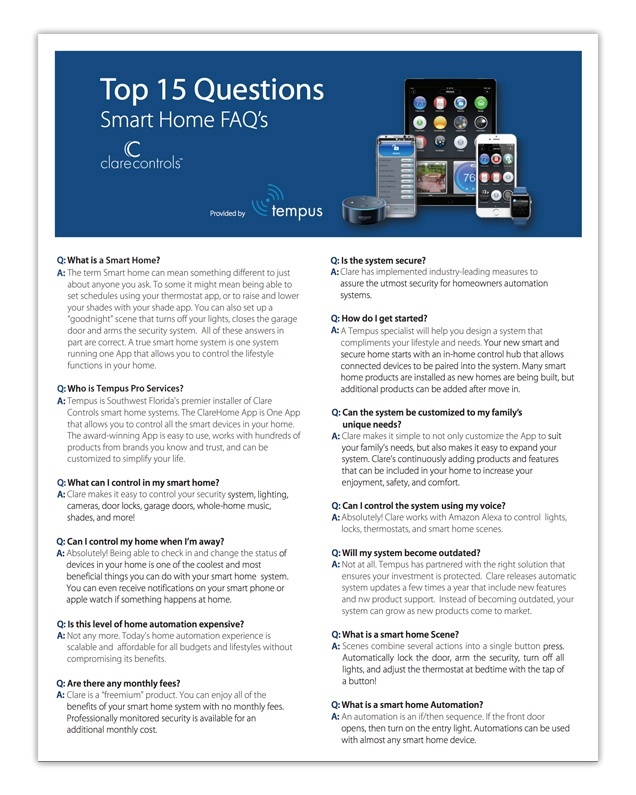 Take a look at our smart home FAQ's and get answers to all your smart home questions. What can I control in my smart home? Can the system be customized to my family’s unique needs? Will my system become outdated? What is a smart home Scene?